Sarah E. Hamilton, age 85, formerly of Richwood, died Tuesday evening December 8, 2009 at her home in Prospect surrounded by her loving and devoted family. She was born November 22, 1924 in Meeker to the late Dennis John and Lydia Florence (Reichardt) Ryan. She was a 1942 graduate of Meeker High School. Sarah was a very active member of the former York-McKendree United Methodist Church. She was a member of the Richwood Garden Club, a 4-H Advisor who was active with the Richwood Fair, Mothers Club OCCL, Richwood Civic Center and the Marion County Historical Society. She loved baking and had made many wedding cakes and birthday cakes for people in the area over the years. 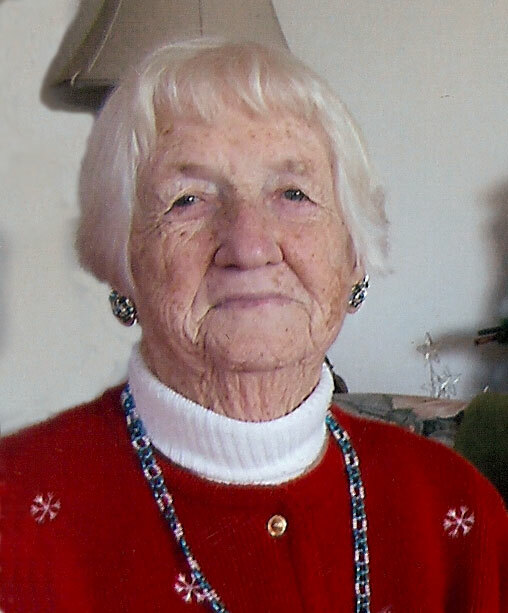 She attended local sporting events and enjoyed watching her children and grandchildren play. Family was more important than anything to Sarah. She is survived by her husband of 62 years, Dale E. Hamilton, whom she married on August 9, 1947 in West Mansfield. Also surviving are two sons, Tim (Cheryl) Hamilton, Plain City; Brian (Cathy) Hamilton, Marion; three daughters, Rita (Criss) Somerlot, Powell; Kathy (Terry) Mullen, Belpre; Marcia (Don) Brake, Marysville; nine grandchildren, Tisha (Jason) Alexander, Cort Hamilton, Ryanne (Justin) Ufferman, Abbey (Brad) Pottkotter, Kent Hamilton, Matthew Somerlot, Jennifer (Dave) Rodgers, Travis (Arpita) Wells, Nathan (Toni) Brake, eleven great-grandchildren; two sisters, Louise Schmelzer, Pinehurst, North Carolina; and Betty Tucker, Marion. She was preceded in death by a brother, John Ryan and three sisters, Mary Herrick, Bonnie Blue and Josephine Ryan. Funeral services will be held Sunday, December 13, 2009 at 2:00 PM in the Stofcheck-Ballinger Funeral Home, Richwood with Pastor Bryan Meadows officiating. Burial will follow in York Cemetery. Friends may call from 2 to 6 PM on Saturday. Memorial gifts may be made to Loving Care Hospice, P. O. Box 613, Marysville, OH 43040 or to the Sarah E. Hamilton Family Scholarship Fund c/o the Richwood Banking Company, 28 N. Franklin Street, Richwood, OH 43344, which will benefit North Union Graduates entering the education field. I would like to express my deepest sympathy to you and your family at this difficult time. May God Bless You and keep you and give you peace. Brian and Family, We were saddened to hear of your mom's passing. Our prayers are with you and your family. May God, and all of us, your friends, help you get through this tough time. Kathy and family, so sorry to hear the passing of your mom. The few times I had to spend time with her, she was always happy plus she could cook. Anyone who takes old Belpre apples and make heavenly pies with them is a great cook. God bless you all through this time of grief and heartache. You are in our thoughts and prayers. We love you!!!! We were so sorry to read of your mom's passing. Please know that all of you are in our daily thoughts and prayers. We are friends of Kathy & Terry and had the privelege of meeting Sarah years ago at one of Travis's sporting events when Travis and our son Seth were in high school and got to spend time with her on occasion over the years. She was a very special lady who was loved so much by all of her family and friends. We mourn her passing with you and pray that in the days ahead you will find comfort in your many wonderful memories of the special woman Sarah was. Our heartfelt sympathy and prayers goes out to you all. Sarah was so special - - such a warm and caring person. She so enjoyed watching all the events at the fair and her grandchildren play sports - - you all were so loved by her. She was so creative and talented - - she even made cheeseballs beautiful. We admired her gentle ways. Dale, you both are truly loved and have a a wonderful family and friends. Very sorry to hear about your mother. It's a difficult time - - you'll be in my thoughts. So sorry about your loss . Our thoughts and prayers are with all of you. Sarah was such a wonderful person. It was always a joy to see Dale and Sarah at the sporting events, fairs, Harding Craft show and the many other events where we crossed paths. Remember the good times and how very important her family was to her. God Bless. To the entire Hamilton family Tom and I offer our sincere sympathy. Our families have been friends for years and Pinky will be sorely missed. I remember what a sweet lady she was and what an infectious laugh she had. All of us will keep you in our thoughts and prayers. My family and I would like to let your family know that you are in our hearts and prayers. Sorry about your loss. All the great memories will remain with you and in your hearts. The entire Hamilton family are some of the most wonderful people I have ever had the privilege to know. Dale and Sarah have been the heart and soul of that family for so many years and a loving example for all. Sarah was a caring woman who will certainly be missed by so many. I feel lucky to have known her. Please know that all of you will continue to be in my prayers. I will miss you Grandma Hamilton. I love you. I extend my sympathies to the family at this time of loss. I remember she was a nice lady who obviously loved her family. I know she will be missed greatly. Hi Rita, I am so sorry to hear of your mom's death. I am thinking about you and your family at this time. No matter how prepared you think you are when it hits it is overwhelming. Please find comfort in the many fun memories you have of her. All that she has taught you and loved you will keep the memory of her alive in you. My best to Criss too. We are praying for a quick recovery for him as well. So sorry to hear of Sarah's death. We worked together at Richwood Self-Serve for several years and our kids were in many school things together. She was a good and creative lady. We are so sorry to hear of your mothers passing. She reminded me so much of my mother: so loving, caring, creative, love of flowers, love of life, and especially the love for her family. I enjoyed visiting with her at church each sunday and enjoyed when she'd bring her grandson to church or share news of family members. She was so proud. Our prayers go out to you Dale and all the family. She was a wonderful women and will be greatly missed. God Bless you all. Betty Drodofsky and Becky Geotge send our condolences to the Hamilton family. While we know you will miss her, may fond memories of her help to sustain you. "Mrs. George" especially wishes to touch Marsha and her family at this time. We are unable to go to calling hours, but you are in our thoughts & prayers. She will be missed not only by her family, but also by a lot of other family's. #23 Private Log in to view. Since I received Mom's call advising me of your loss, I have found myself going back in time and remembering how our families have crossed paths. Of course, high school and 4H activities werew some of the first memories, then there was time spend together when Nate and Amanda(Mandy then) were small and we did things together. Amanda and Kara were in school with Tim's kids and they still talk of Mr. Hamilton being the principal while they were in elementary school. After our moves we would see some of you from time to time when we were each visiting our parents as only a few houses separated them or at NU sports events or community functions. I also remember how supportive your family has always been of one another and how strong you are when you come together. I know it will be this support and strength that help you now. Thinking of you all with love. Kathy and Rita, I am so sorry to hear of your loss. Your mother was such a sweet lady. She was always so good to me and she made the best cakes! May your fond memories of your wonderful mother give you comfort. God bless each of you and your families. We want to express our deepest sympathy to you all and know that you are in our thoughts and prays. So sorry to read of Sarah's passing away. I have many fond memories of Sarah and Dale. Of course, I always remember her as "Pinky". My sympathies to the rest of her family too. I am so sorry for your loss of your mom. Sarah was such a gentle carring person. I will always remember her smiles. They would light up the room. We are so very sorry about the loss of your Mom. She was a wonderfully caring woman. We will keep your family in our prayers.